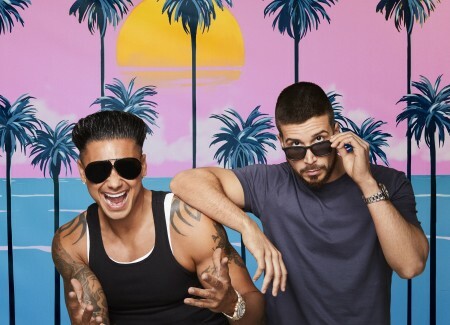 MTV announced its new dating series, "Double Shot at Love with DJ Pauly D & Vinny" starring the popular bromance Paul "DJ Pauly D" Delvecchio and Vinny Guadagnino from "Jersey Shore Family Vacation" will premiere April 11th. MTV announced the gym, tan, laundry crew return in the much-anticipated premiere of "Jersey Shore Family Vacation Part 2" on August 23rd. The new season kicks of with a special two-hour premiere with housemates Deena Nicole Cortese, Paul "Pauly D" Delvecchio," Jenni "JWOWW" Farley, Vinny Guadagnino, Ronnie Ortiz-Magro, Nicole "Snooki" Polizzi and Mike "The Situation" Sorrentino in Las Vegas and follows them back to New Jersey where it all started for a weekend in Atlantic City and the shore. 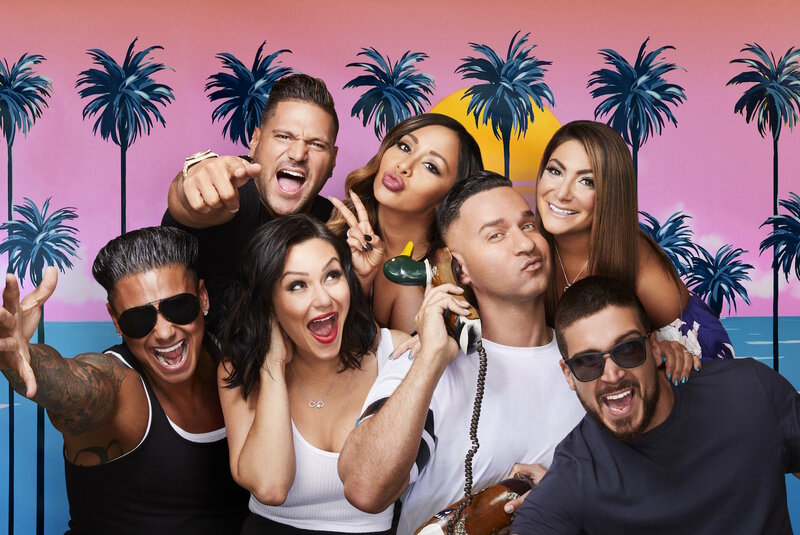 Before season 1 has even premiered, MTV has announced the renewal of the new reality series "Jersey Shore Family Vacati on" for a second season. Apparently reboot series are the hot trend these days. 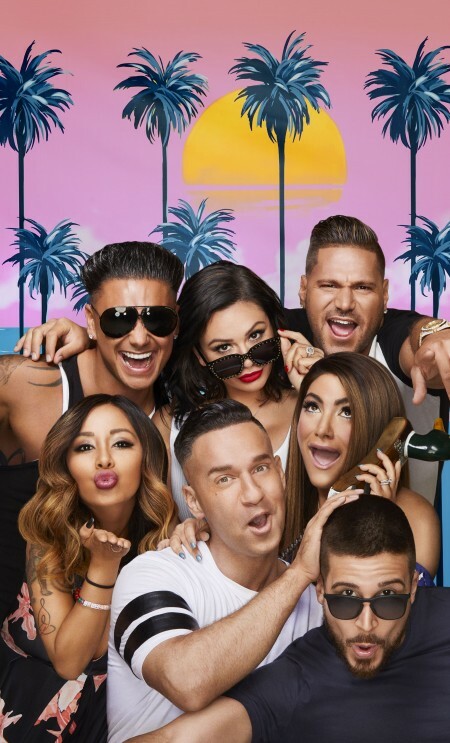 "The much buzzed about and highly anticipated series features original housemates Deena Nicole Cortese, Paul "Pauly D" Delvecchio," Jenni "JWOWW" Farley, Vinny Guadagnino, Ronnie Ortiz-Magro, Nicole "Snooki" Polizzi and Mike "The Situation" Sorrentino who reunite in Miami for the vacation of a lifetime," says the MTV press release. 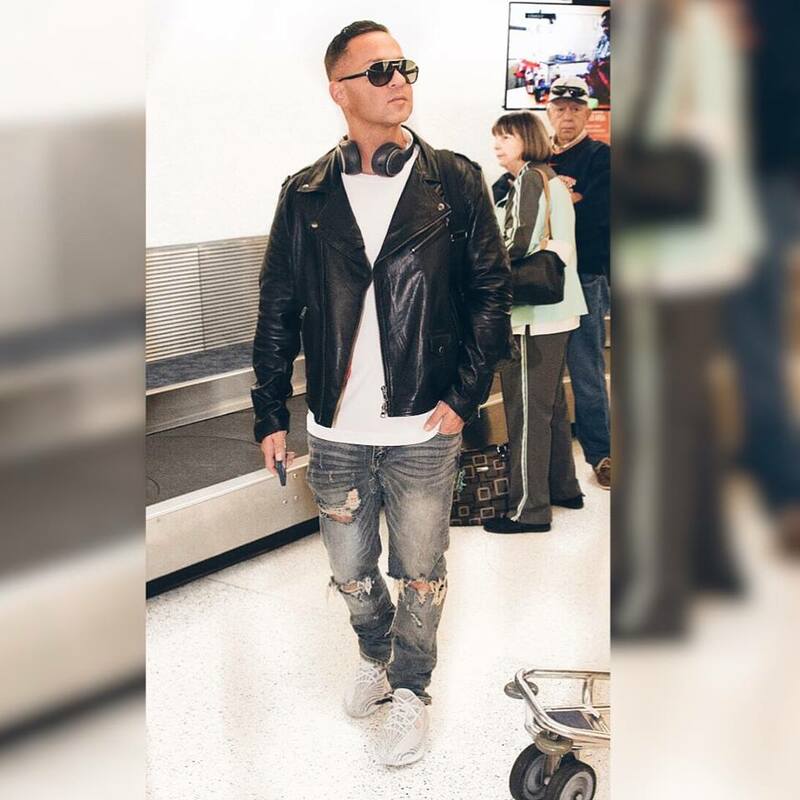 The global premiere of "Jersery Shore Family Vacation"
After entering a guilty plea to tax evasion on Friday, Mike "The Situation" Sorrentino has joined his castmates in Miami to film to new reunion series, "Jersey Shore Family Vacation." Mike, 36, pleaded guilty to a charge of tax evasion and faces up to a 5 year prison sentence, while his older brother Marc Sorrentino, 38, pleaded guilty to aiding in the preparation of a false and fraudulent tax return, facing up to 3 years in prison, E! News learned in a statement from New Jersey's District Attorney's Office. "Reunion Road Trip: Return to the Jersey Shore" reunites “Jersey Shore” Cast on E! E! announced the cast of "Jersey Shore" will reunite for an epic special "Reunion Road Trip: Return to the Jersey Shore" on August 20th. Snooki, JWoww, Pauly D, Mike The Situation, and Sammi Sweetheart are road-tripping, and fist-pumping down memory lane. Five years later, "the special will follow these outrageous friends as they come back together for the first time in five years to gossip about each other's relationships, recent press, juicy behind-the-scenes moments, and, most of all, talk about the pop culture hit that has bonded them forever," says E! 's press release.